River City Bank names Elaine Lintecum as the newest member of its board of directors. “Ms. Lintecum’s extensive experience for one of the oldest, largest and most respected newspaper and digital publishers in the U.S. will be a great asset to our board,” said River City Bank President and CEO Steve Fleming. River City Bank is pleased to announce the appointment of Elaine Lintecum to its board of directors. Lintecum currently serves as Chief Financial Officer (CFO) at The McClatchy Company, a national newspaper and digital news publisher headquartered in Sacramento. Her addition to the River City Bank board signals a continued emphasis on the Bank’s growth and geographic expansion; the Bank experienced 27 percent loan growth in 2015 and recently opened a branch in Walnut Creek – its first Commercial Banking office in the San Francisco Bay Area – while also expanding into Southern California. 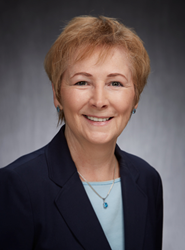 Lintecum received a Bachelor of Science in Business Administration and Accounting from California State University Chico, and she has played an instrumental role in every major financial development at McClatchy for almost three decades. She is a member of the Mergers and Acquisitions team and serves on the boards of The Seattle Times Co. and Ponderay Newspring Company. Prior to joining McClatchy, Ms. Lintecum was a Certified Public Accountant with Deloitte Haskins & Sells. River City Bank is the Sacramento region’s premier business bank with assets over $1.5 billion. River City Bank offers a comprehensive suite of banking services, including loans, deposits and cash management tools to the business, consumer and commercial real estate sectors. With tailored, executive-level service and a Five Star “Superior” financial rating from the nation’s leading independent bank-rating firm, Bauer Financial, River City Bank redefines the banking experience and every touch point that surrounds it. River City Bank is the largest, independent, locally-owned bank in the Sacramento region with an office in the San Francisco Bay Area and a presence in Southern California. For additional information, please visit http://www.rivercitybank.com or call (916) 567-2600. Member FDIC. Equal Housing Lender. The McClatchy Company is a 21st century news and information leader, publisher of iconic brands such as the Miami Herald, The Kansas City Star, The Sacramento Bee, the Charlotte Observer, The (Raleigh) News and Observer and the (Fort Worth) Star-Telegram. McClatchy operates media companies in 28 U.S. markets in 14 states, providing each of its communities with high-quality news and advertising services in a wide array of digital and print formats. McClatchy is headquartered in Sacramento, Calif., and listed on the New York Stock Exchange under the symbol MNI.